All the animal are out in the world, and you cannot imagine when you are eating they are closer to you than food. If you wish to see and catch them, then you need Animal GO alternative apps. It is the full entertainment app where you have to find and catch AniMon as you walk around a neighborhood your smart gadget will vibrate when it detects the animal close or nearby you. This game is straightforward but more fun to spend a time all you have to do is to take aim and throw a ball at the animal to catch it. All you have to do is to be alert yourself or animal might get away. This application has compelling animal characters which make more fun to connect with Animal GO and score high points. Animal GO current version 1.8 is compatible with the iOS 8.4 or latest. Pixel Catch Monster just function as the movie character Pokémon as you catch and train your Pokémon same concept issued in this application which is so much excitement for the player and this app gets the highest ranking in the Android market. In Pixel Catch Monster app all you have to do is to capture new Monsters after you find one of them around you then train them at the best level so it will operate as you command. Then match with the opponent with your trained monster with fun, simple game play. Pocket Beast GO is a simulation pocket catch game application where you get the real image of the animal which you have to catch by throwing the ball on it. This game is developed for the augmented reality for the children to get the knowledge of wildlife of our planet. The real-life animal is captured by your smart gadget camera, and this animal has to find by your own with the help of radar given in this application and when you see any animal then through the red ball given on the game play screen and catch it. This exciting game provides more knowledge about how many types of animal still alive on the earth. Pocket Puppy Pet Go is the simulation application for the pet lovers, who wants a pet or can’t get the time for their loving pets, so this app is best for you and your pet is always with you in your pocket. This application helps you to track all the pets who are close to you, and all this is possible with the help of your smart gadget camera. All you have to do is to throw the balls to catch the pet across your way and it not necessary that you have to go outside in a field you can play it anywhere you want. The Characteristics of Pocket Puppy Pet Go are Less wear battery, easy to use, very funny, ideal for the younger children, pets also appear inside indoors, totally free, not need an Internet connection, Augmented Reality Game, excellent graphics, excellent sounds. Monster Craft GO is the game of Rush Pixel Studio where you have to find the monster and catch them to protect the world. These characters look like a LOGO pieces made of which make more interesting while capturing the different aspects appears on the screen of the Smartphone. The best of this game is that it is an endless zigzag running game that everyone can play where you have to collect balls to buy new monster characters, and new high statistics is recorded for challenges. The best way to play this game in a self-mode is How to play run the game regularly and tap the screen to start the runner. You can swipe on the screen to control the running direction but do not hit any barriers or road edges to avoid game stop. The Best Monster Quiz is the best game primarily for the Pokémon catchers and is developed by the Alija Sirbic. 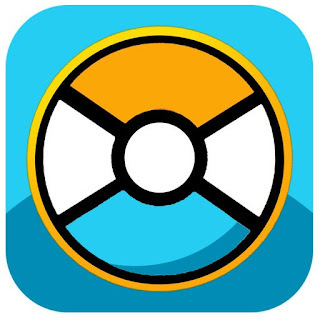 This game tells about the Pokémon names, color, function and other details which are everywhere in the world and seen through the app on smartphone and tabs. This game is the puzzle based where you learn the real name and the function of the Fastpokemap by passing the quiz one by one. The Best Monster Quiz has 7 new levels upgraded which create the more excitement to their fans improved the UI. The Best Monster Quiz current version 1.2 is compatible with the iOS 6.0 or above.